It’s an especially common conundrum for women. They’re in high demand as mentors, mainly due to their thin ranks in upper level management. Many coach so many junior female colleagues that they sacrifice their own time to network with the big brass. A mentor typically acts as a role model and empathetic sounding board and some managers receive scores of requests a year. About one-third of the participants in ELI Group’s Leadership Lab for Women receive more than two dozen requests annually to mentor lower-level colleagues. 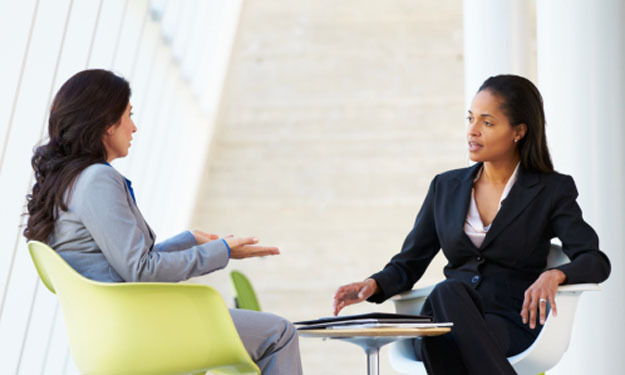 Pressured to accept mentorship requests, managerial women “put their own networking needs on the back burner,” explains Christina Williams, an industrial psychologist and managing director of the Dallas consultancy. But unless they network upward in ways that land them sponsors, mid-level women are less likely to get ahead. Sponsors are powerful senior players who open the doors of the promotion elevator and push a protégé through. Men are 46% more likely to have sponsors than women, concluded a 2010 study by the Center for Talent Innovation, a New York think tank. Suzanne West knows the downsides of excess mentoring. A program manager at the Bell helicopter unit of manufacturer Textron Inc., she supervises 350 people – and never rejects mentorship requests, especially from women. “It is important to give back and share lessons learned,” she says. In fact, during a “360-degree” performance review last fall, Ms. West was told that she mentors too many people. At the time, Ms. West was coaching about seven female associates. She now counsels just two and plans to attend more meetings involving Bell executives once she finishes her part-time M.B.A. in December. A meticulous approach to mentorship has worked well for Kerrie Peraino at American Express Co.
Ms. Peraino used to advise up to nine women simultaneously. But soon after she was named chief diversity officer of the financial-services concern in late 2008, she limited herself to counseling no more than four lower-ranking women. She did so partly because she hoped to build deeper ties “with people more senior than me,” she recalls. Today, she only coaches women with qualifications such as a strong track record, clear sense of how she might help them, and potential to become her sponsored protégé. “I want to have the greatest impact,” the Amex executive says. “Senior women have to be intentional about how they invest their time,” Ms. Peraino adds. “They may not see [the importance] as quickly as their male counterparts. In January 2011, she advanced to senior vice president of international human resources. Ambitious managerial women can benefit from sponsoring lower-level employees without overreaching as long as they create a reciprocal relationship that enhances their own professional reputation, Dr. Hewlett says. “You need two to three amazing protégés to propel yourself,” she continues. Rosalind Hudnell, whom Intel Corp. promoted to HR vice president last February, agrees. The Intel executive devised an equally creative way to rein in her coaching of colleagues. Among the few African-American female leaders in her industry, she is asked at least once or twice a week to mentor or sponsor female co-workers. She imposed her requirement about two years ago, and it has helped her whittle down her sizable pool of coached employees. At the time, Ms. Hudnell recalls, she was exhausted from advising 15 Intel men and women – and was constantly reminding herself to keep networking upward. The spot quiz “has worked for me,” she says.